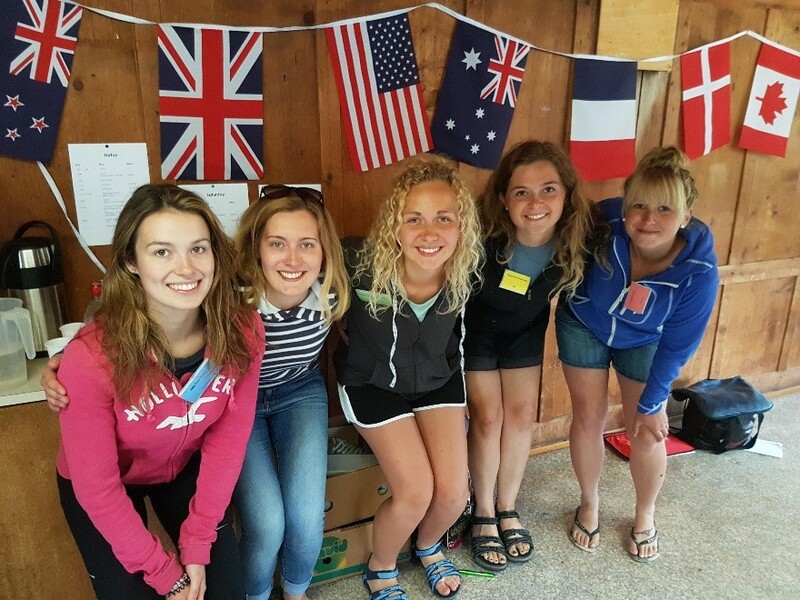 Read all about Brighid's fantastic exchange to Switzerland! Wow the time has come for me to depart for Switzerland. The past 12 months have flew by ever so quickly and here I am now 16,622 km away from home. Friday 16th June was the big day where I departed from the Devonport airport with 20 hours of flying ahead. I arrived in Switzerland at the Zurich airport at 6:10 am on Saturday feeling very jet lagged from the flight and having going back 8 hours from local Tassie time. It was so nice to see the smiling face of Christa (2016 exchangee from Switzerland) waiting for me at the departure gate. We proceeded to get my luggage and continued on to the train station which I caught to the center of Zurich and met my first host family the Windlin’s, which I will be staying with for the next four weeks. They are quite a large household with wife Yvette husband Walti there three daughters Natalie, Lina ( is currently on exchange in Scotland with Will Cragie) Emely and son Ivan, grandma and grandpa also live with them in the house. Yvette met me at the train station with her brother Albi and we spent some time getting to know one another with Natalie catching up with us later that afternoon. My first day was about getting to know the family and where they lived. They live in central Switzerland in the canton of Sarnen and village of Kerns. 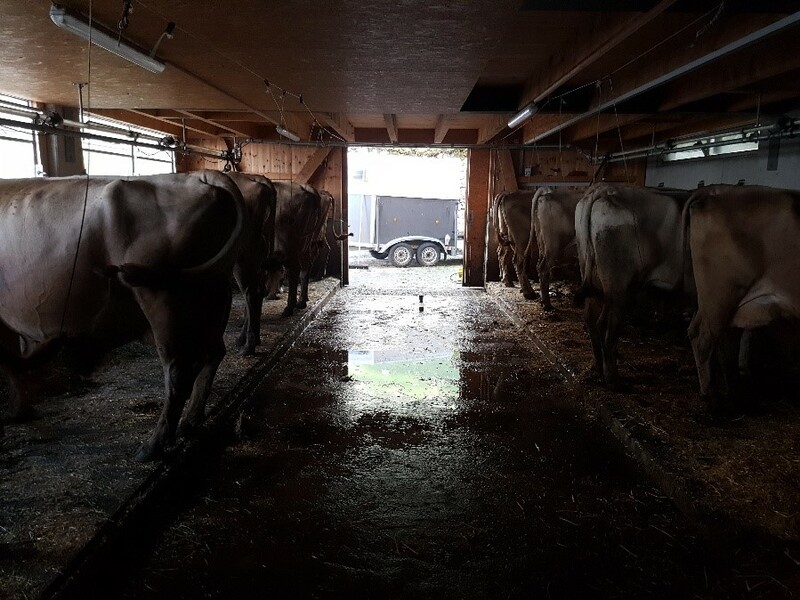 Yvette and Walti run a bio dairy farming operation with 21 brown swiss cows, during the winter they are housed in a barn located next to their house and run on the 10 acres they own. 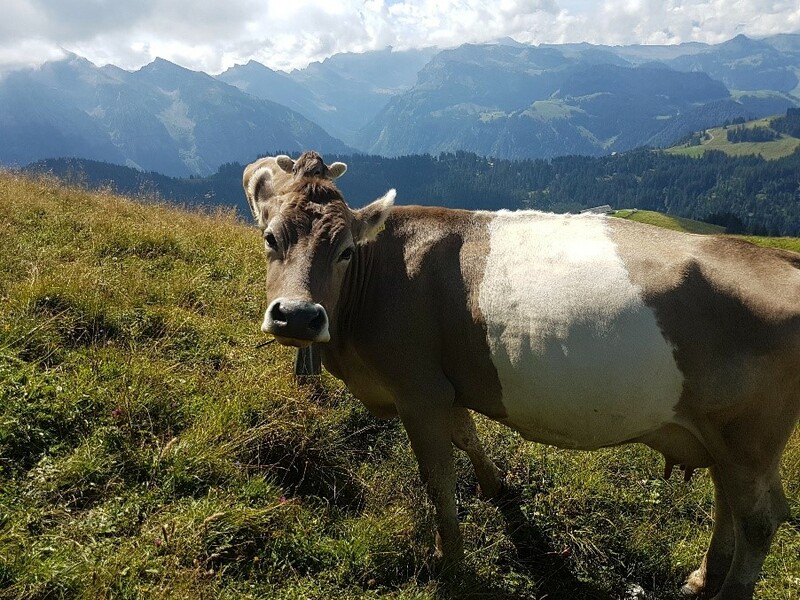 During summer all the cows, heifers and calves are taken up the alps which they are currently leasing, consisting of 280 acres. Bio farming is huge in Switzerland, they get a lot of financial support from the government in helping keep the native grasses in the pastures, many times when walking through the fields I have seen native strawberries, herbs like parsley, mint and coriander, it really does look beautiful but its so rewarding for the farmers and the environment. 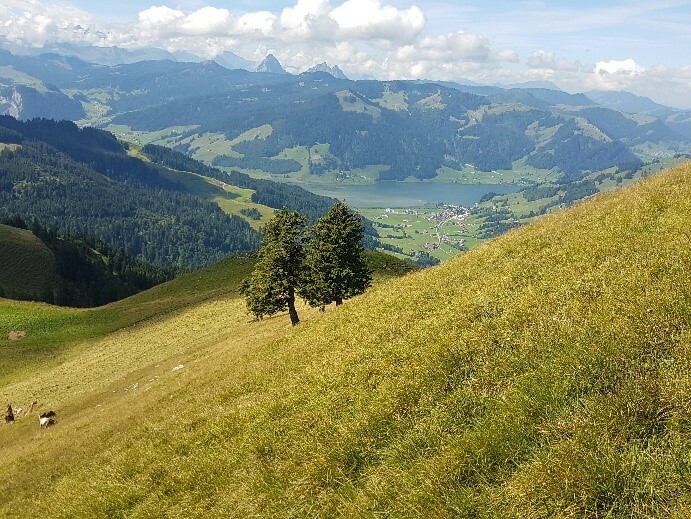 My first three weeks in Switzerland have been amazing, I have stayed and helped milk the cows up in the alps, been part of the every day running of the farm with hay making and moving the stock across the mountain and even got to do some hiking. When not helping on the farm Yvette is a home economics teacher, so every Thursday and Friday I have helped her and the students with cooking and got to teach them a few things about Tasmania. I have also been part of the International Farming Youth Exchange incoming weekend where I met 19 other exchangee from Costa Rica, Astonia, Scotland, Wales, Norway, USA, Taiwan, South Korea and Finland. We all spent a fun weekend together getting to know one another during a hike to the Sittlisalp cheese and yoghurt factory. The factory is located on an alp and there are 9 farms in the area with around 110 cows in total, all 9 farms bring their milk to the one factory and they all put in the time and effort in the making of the cheeses and yogurt, they supply the local town in Urigen but mostly rely on hikers and tourists to buy their products. This last week has mostly consisted of hay making as its perfect drying weather, a stunning 28-30 degrees nearly everyday so far, but I did get to visit the local mushroom factory where Emely and Ivan work at every Saturday morning and then onto Luzern for a visit around the city. That’s all from me for now, I would like to wish those who put in for the 2018 exchange all the very best and it is an amazing experience! The time has gone buy so quickly, I am currently in my last week of exchange but by the time you all read this I will be back home. I am at my last host family which live in a small village called Hütten, located 40 minutes from Zurich. 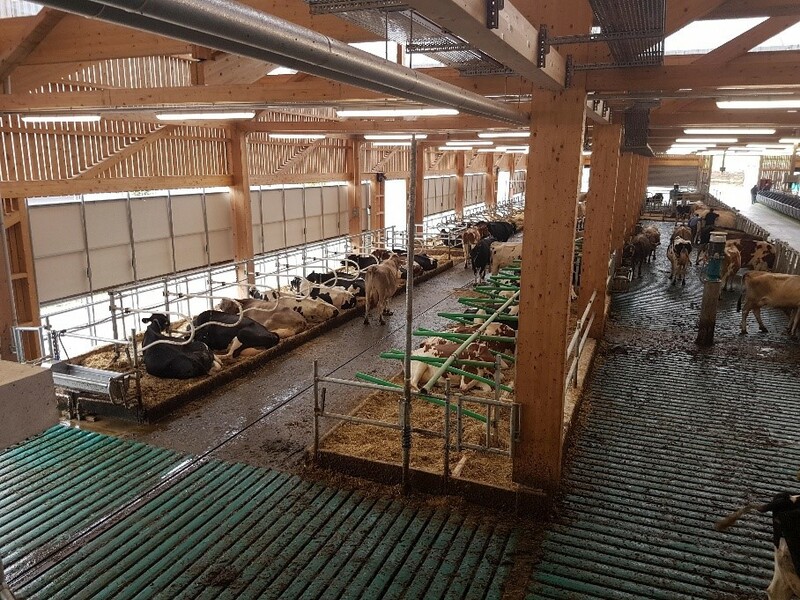 Sandra and Christoph along with their two daughters Flavia and Carmen, run a dairy farm with 20 original Brown Swiss milking cows on around 80 acres. Sandra is a stay at home mother that milks every morning and evening and does the farm work and Christoph is a dairy technician/ consultant for a company called Strickhof. He travels all over Switzerland to dairies and cheese factories when there is a problem with the milk like high cell counts or a problem with the machine, so he spends a lot of time away from home. I was lucky enough to go with Christoph for a day to the Strickhof headquarters which is also a research facility and a school farm. One of the professors that spoke really good English gave me my own personal tour of the school which is under construction at the moment. 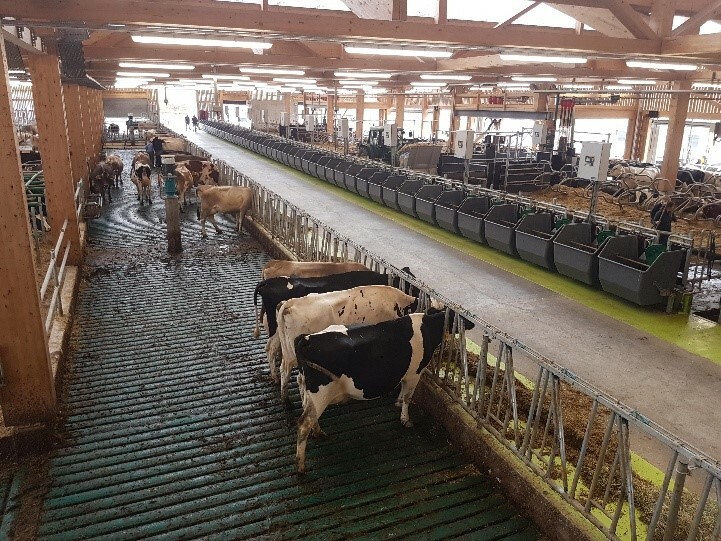 He took me through the cow barn where they have a robot milking machine for the school students and on the other side they had a 4 aside herringbone for the researchers. In total they will have 3 barns once the building is finished, where they will be able to record every detail about cows, pigs, chooks, sheep and horses in individual rooms that they can place the animal and all the data can be recorded right down to how much gas the animals make , it is going to be a state of the art facility. I have also helped with the hay and silage making that was done during the week, it is a lot more manual labour here in Switzerland as it is too steep in some places for machines so it is done by hand, so we have been busy raking the grass into wind rows off of hills with a rake to where it is flat enough for them to collect with the tractor. It has been a great experience to work along side the family and they have been so excited in teaching and showing me about agriculture in Switzerland, and so appreciative of me helping with the work on the farm. Well that's all from me for now. Wow what an amazing 9 weeks it has been!! 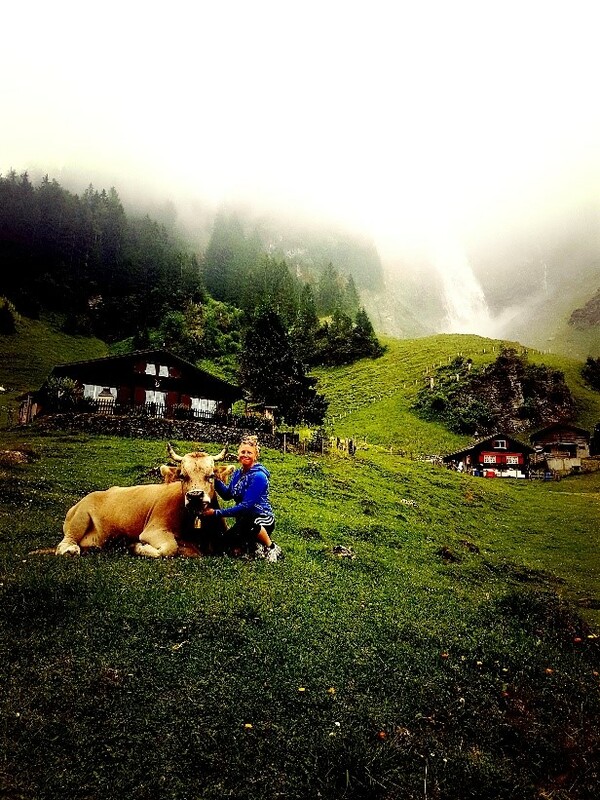 I absolutely loved Switzerland and am so appreciative to Rural Youth and Betta Milk for this opportunity. I highly recommend that any members that are thinking of going on exchange to definitely do so - it is a once in a life time opportunity to experience first hand the culture and agriculture of a different country, an experience no other tourist would be able to achieve. It is so hard to just think of one highlight from my trip because every day I learnt or experienced something new but I loved that all the families that I stayed with were so welcoming and involved me in their everyday lives and we built a relationship that will last a lifetime. 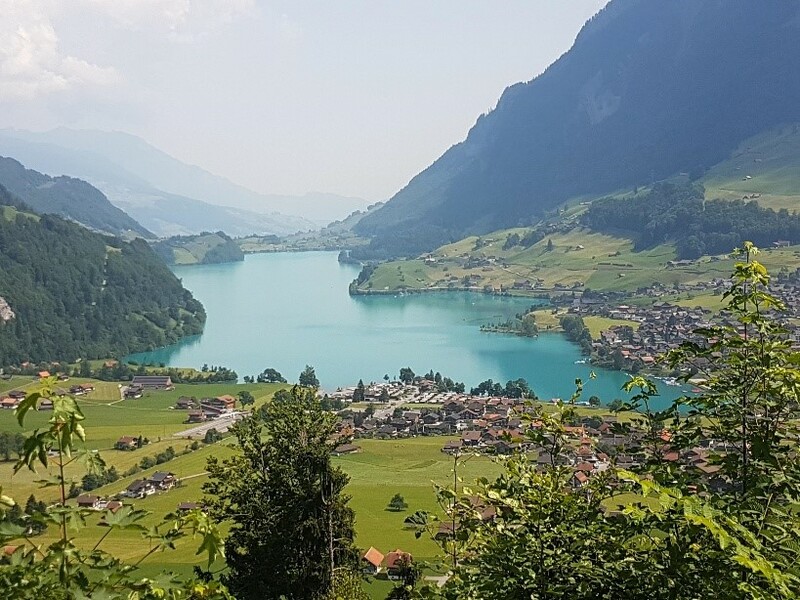 With every family I got to see so many different areas of Switzerland and what they are known for, from milking sheep and goats to hiking the alps 3000 meters above sea level to bottling honey, cheese making, the list goes on. I loved every moment of this life changing experience it was so very different to home but it was great to be able to bring some ideas back with me but also share some with my host families over there as well.